The events that led to the demise of a dead grizzly bear dubbed “Scarface” have finally been made public. 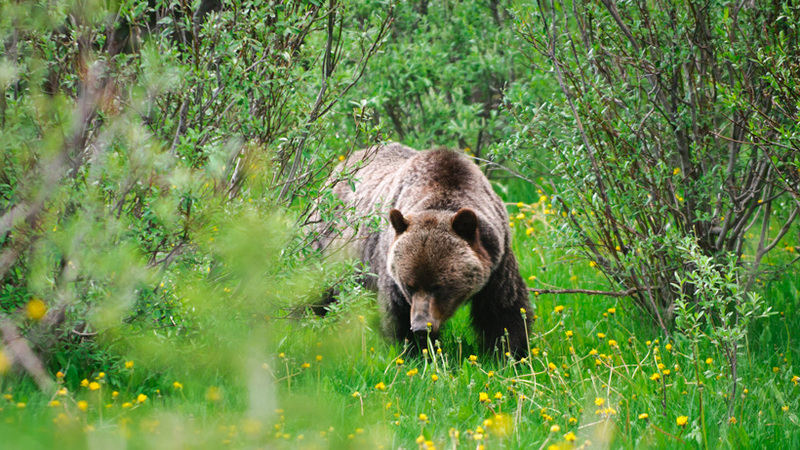 The incident, which took place in November 2015, resulted in the bear being fatally shot north of Yellowstone National Park by an elk hunter. According to reports, the hunter (whose name has not been released) rounded a corner deep in grizzly country as night descended when his headlamp illuminated a large grizzly only 10’ away; he then shot the animal twice in alleged self defense. Then, realizing his actions, the hunter notified authorities the next morning. State and federal authorities retrieved the grizzly carcass from a creek bed the following day, identifying the bear as No. 211: Scarface, the Washington Post reports. Authorities say that the investigation was thorough. A ballistics report confirmed that the retrieved bullets were shot at close range. Charges were dropped and the case was closed seven months later. Recently, however, the report has surfaced thanks to the Freedom of Information Act and was recently distributed by Gardiner, MT resident Kat Brekken. According to the Washington Post, the report reveals conversations between the hunter and investigators following the incident and includes some skepticism from authorities as to why the hunter returned to the scene of the crime and how the bear ended up in the creek. The hunter stressed that he and a friend returned to confirm the animal was dead and that the animal had fallen into the creek. Once they realized it was a grizzly, the hunter immediately reported it to authorities. While the bear was killed in November 2015, the incident wasn’t made public until April 2016. The delay in reporting the crime publically has garnered some criticism, especially from Park employees who are responsible for keeping tabs on the Park’s grizzly population. The now-public report regarding Scarface’s death has re-ignited the debate over whether federal protections should remain for the apex predators. As goHUNT previously reported, grizzly bears will soon lose protections within the Yellowstone region and management of the species will be transferred to state and tribal government. While many animal activist groups say it will make killing grizzlies easier (and with lighter punishments doled out), Chris Servheen, who served as the grizzly bear recovery coordinator for the U.S. Fish and Wildlife Service for 35 years, doesn’t believe that will happen. In fact, he told the Washington Post that states will most likely be extra cautious with grizzly bear management and will likely stress bear safety measures and protocol.